Hello Ladies! And happy Friday ! 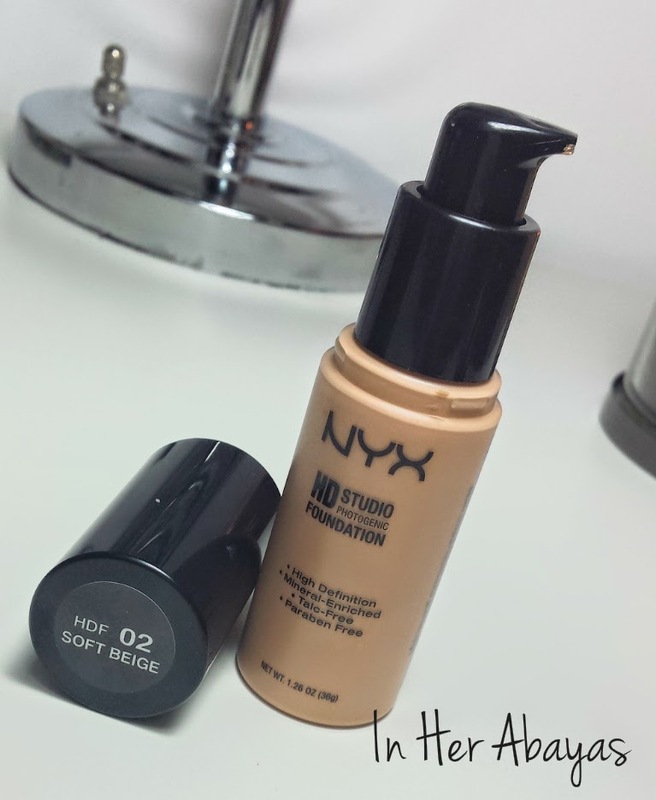 1- Nyx Cosmetics HD Studio Photogenic Foundation : this foundation has been my favorite for at least 3-4 years . It has all i could ask for in a foundation , it covers well , buildable and gives my skin that dewy not greasy at all finish that i love . 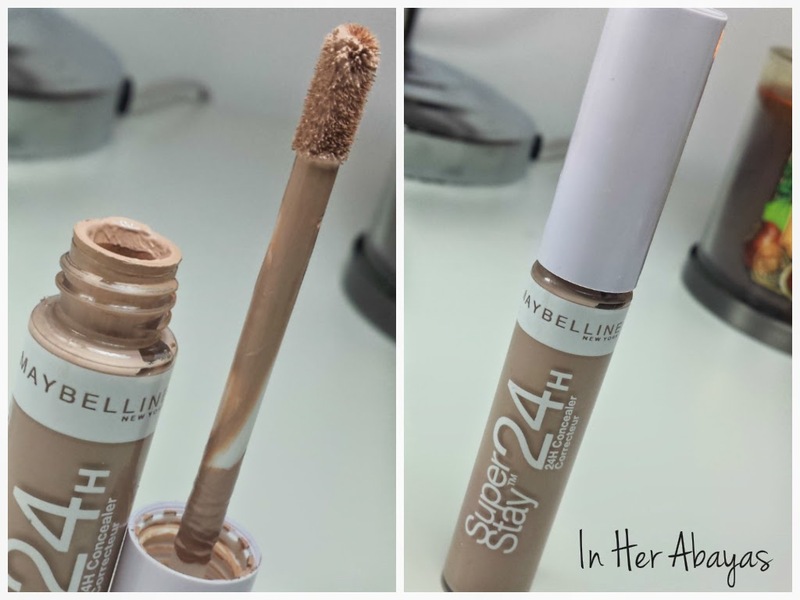 2-Maybelline Super Stay 24 Hour Concealer : it's the first time for to try this concealer , and i still can't make my mind about it . I find it a tiny little dry and cakey but sometimes it works great so I'll have to see whether i like or not after a few more uses . 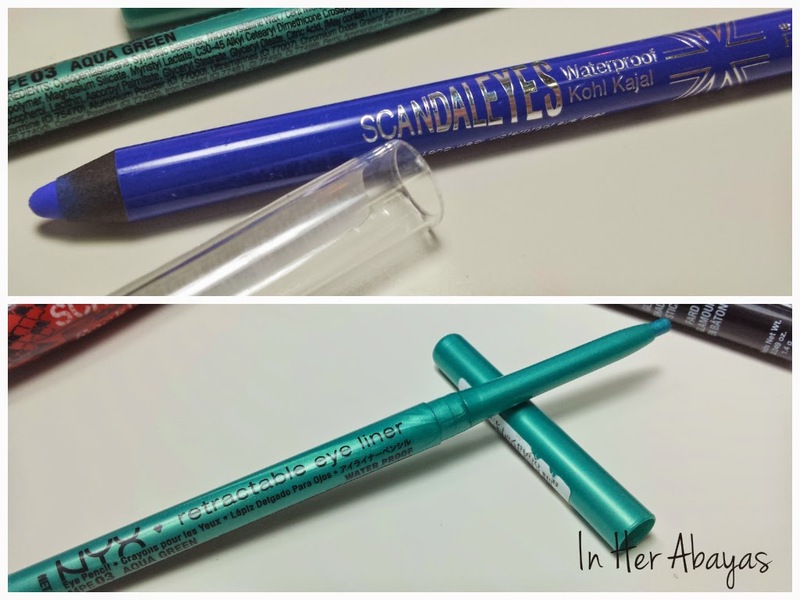 3-Rimmel Scandaleyes Waterproof Kohl Eyeliner in light blue : a veery pretty blue that i (and my husband ;-) ) think compliment the my eyes . also a beautiful and fun change from black eyeliner . 5-Nyx Cosmetics Glam Shadow Stick in the color Diamond :i wanted to get a white jumbo pencil , but they were out so i thought I'd give this shadow stick a try , and i wish i didn't . the color is beautiful but it creases immediately after applying it on my eyelid i tried using it as a base but it only made the eyeshadow crease too .. I'm gonna keep playing with it and see if i can find any use for it . 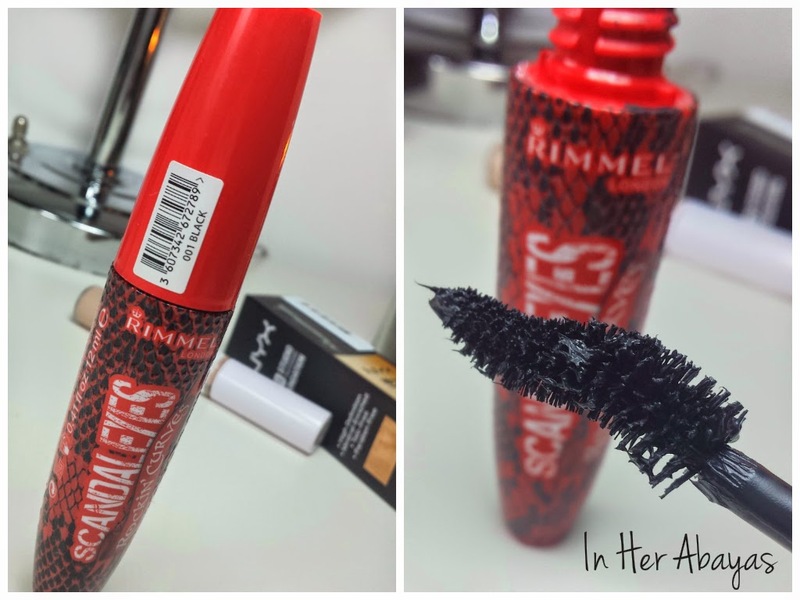 6- Rimmel London Scandaleyes Rockin’ Curves Mascara : I love Rimmer Scandaleyes mascaras , and I've been loyal to them since the very first one i tried . 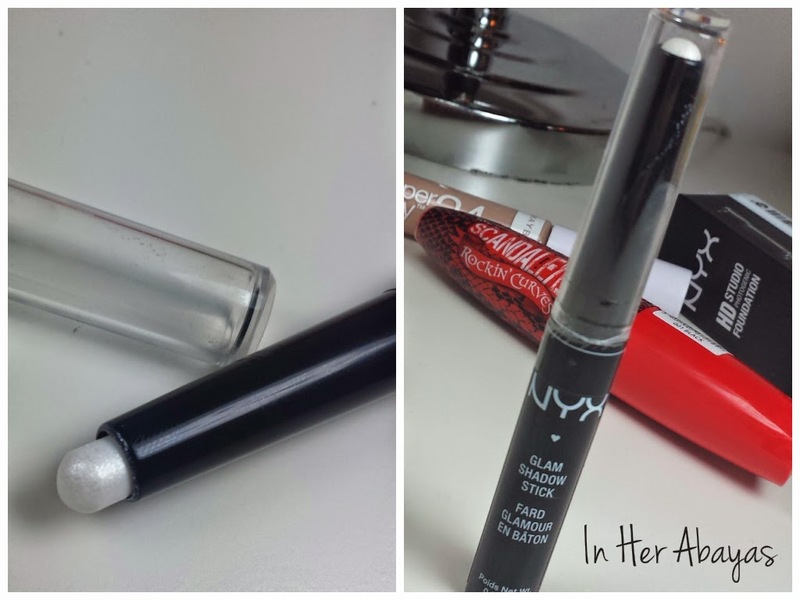 I was on no-buy when this mascara came out and it was the first thing i picked up when i got free (of the no-buy obviously !LOL). Rimmel claims that this broken heart-shaped brush creates a fringe of big, curvy, rockin’ lashes and i have to say : IT DOES ! I love it ! I only apply a thin coat of this mascara otherwise I'd look like I'm wearing 2 sets of falls lushes No lies ! It's been a looong time since i did a haul post and i honestly feel a little rusty , what do you thing? should i make more of this kinda posts ? What are you last buys ? please share them with me in a comment or leave the link to your blog post I'd love to check it out ! 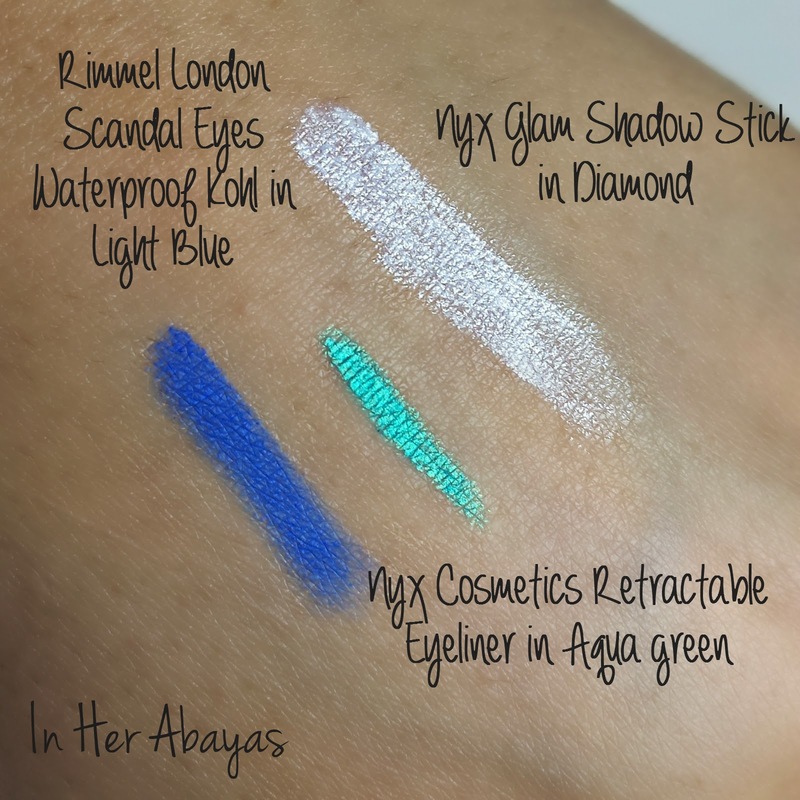 I love the nyx eyeliner in aqua green, the color is amazing, i have 1 similar and i love wearing it on summer <3 the rimmel kohl is nice also! 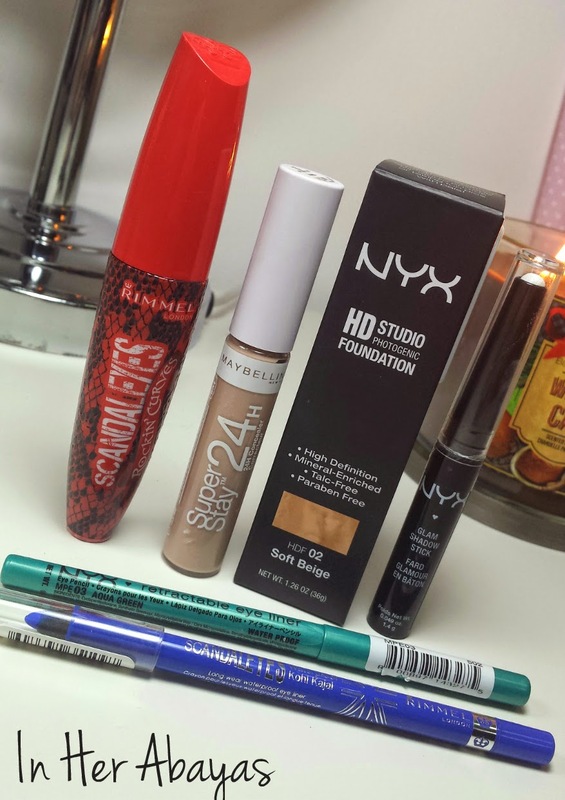 Of course you should do more haul posts, i love reading them!! !